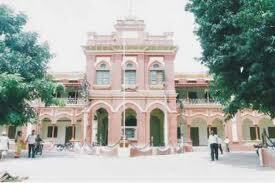 National Institute of Technology Patna is the 18th National Institute of Technology created by the Ministry of H.R.D. Government of India after rechristening the erstwhile Bihar College of Engineering Patna on 28. 01. 2004. 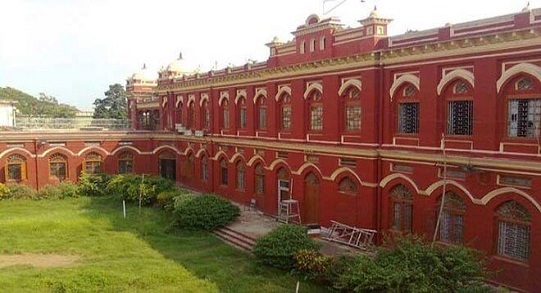 NIT Patna marked its humble beginning in 1886 with the establishment of pleaders survey training school which was subsequently promoted of Bihar College of Engineering Patna in 1924. 10 Punj Llyod Ltd., New Delhi 25 Vodafone Ltd.
11 Adani Interprises Ltd., Ahmedabad 26 Bhusan Steel Ltd.
12 L&T, Mumbai 27 WTTIL & QUIPPO Telecom Infrastructure Ltd.
13 Vedanta Balco, New Delhi 28 CSC Ltd.
14 TVS Motors 29 Surya Roshni Ltd.
Campus: National Institute of Technology Patna is the 18th National Institute of Technology created by the Ministry of H.R.D. Government of India after rechristening the erstwhile Bihar College of Engineering Patna on 28. 01. 2004. NIT Patna marked its humble beginning in 1886 with the establishment of pleaders survey training school which was subsequently promoted of Bihar College of Engineering Patna in 1924. This made this institute the 6th Oldest Engineering Institute of India. The graduate level curriculum was later elevated to the post graduate level in 1978. The institute is situated on the south bank of holy river Ganges behind Gandhi Ghat, one of the most important and reverential place of Patna. The Gandhi Ghat is associated with the immersion of ashes of father of the Nation Mahatma Gandhi in the river Ganges. The campus has a picturesque river view with historic building presenting a spectacle of architectural delight and natural beauty. Central library: The Institute maintains a central Library which has over 50,000 books and about 1,100 internationally acclaimed e-journals and works for about 10 hrs per day.The Central Library has a separate e-resource section at the ground floor, a study section at the first floor and a separate section for computer related books at the second floor. Hostel: The institute provides residential facilities to students through three boy’s hostels and one girl’s hostel. At present Institute provides 29.37% only hostel facility for boys and girls both. Each hostel provides a central mess facility and 24 hours uninterrupted water and electricity supply. The sports week continued simultaneously with the cultural events. This year, the sports week was marked by the introduction of several new concepts, the prominent being staging of field events under lights. 2007 batch was declared as the champions in the outdoor events having won the cricket and football tournaments. CORONA ’08 : The annual national level technical symposium ‘Corona- Ionising the Atmosphere’ will begin from 28th March. CONCREATE 08 : ‘Concreate ’08’, a national level technical symposium organised by the Dept. of Civil Engineering will also be commencing from 28th March. sir, my aieee rank is 26889 in gen, 5334 in obc, 1535 state rank mechanical branch in nit patna provided. please introduce me.